March and April here were cherry blossom viewing season, or as it’s known in Japan, お花見. It’s an excuse for people around the country to relax, go to a nearby park, drink and be merry with friends and family. You don’t really need a reason to do that, but it’s a good reason if you’re always busy. You’re pretty much expected to go to at least one of these parties each year. The sakura, or cherry blossoms, bloom at different times throughout the country depending on the weather and location. This year they bloomed earlier than had been originally predicted, thanks to some warmer than average weather. The first was with some classmates. It was a small gathering that also served as someone’s going away party. We ate at a restaurant prior to going, so we ate some snacks and a few people had beer. It was held at Yoyogi Park in Tokyo. The next party was with my host dad’s friend’s company. We were invited to tag along. Food included sushi, wraps, pizza and beer. This was at a park in Yokohama. The third party was party was also held at Yoyogi Park. This one was a gathering of people in Japan who create YouTube videos. This one ended earlier due to rain, so it was moved to the Tobacco and Salt Museum… while we waited for a nearby pub to open up. It’s always a fun experience, and I recommend everyone try to take part in one of these parties. 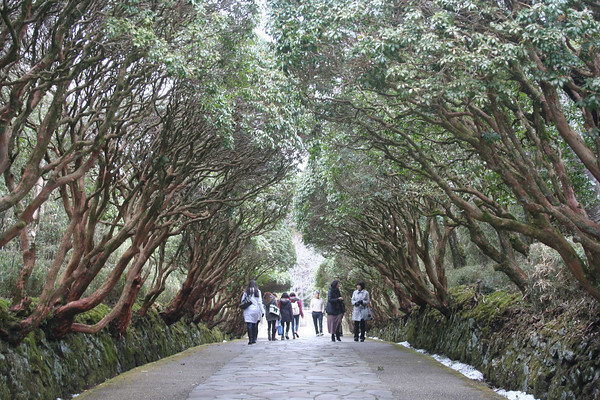 On Friday, March 1, everyone from my school (I think there were about 300 of us) went on a field trip to 箱根 (はこね, Hakone), Kanagawa-ken, Japan. It was about 1.5 – 2 hours by bus from Shibuya. So why did we go there? I mean, just what is Hakone known for? I hiked a mountain in class; what did you do today? Most people know that I’m not really an outdoors type of person. The only camping I’ve done was in Rainman’s backyard back in middle school one night… and later on we ended up going back inside. So, it’s a bit of a surprise both to myself and maybe others that I voted to go on a field trip to Japan’s Takaosan (高尾山). This was my first time seeing Mt. Fuji in person. 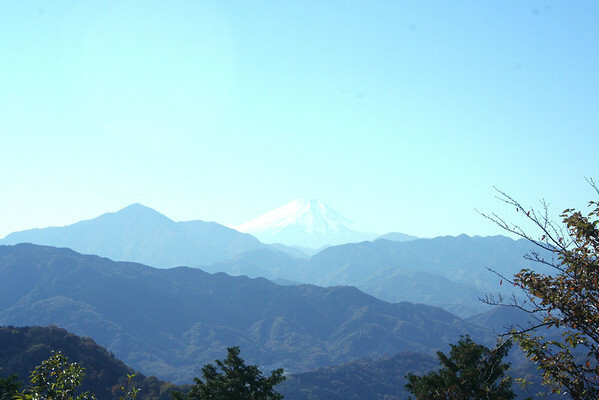 I’m glad we climbed 高尾山 and not Fuji. 2007 – Made my first trip to Japan. I visited a friend, and he acted as an interpreter and tour guide. 2008 – Visited my former Japanese teacher and his wife. Daytime I was on my own; at night we partied. 2009 – Went with friends from Texas where I acted as tour guide and a poor excuse for an interpreter. 2010 – Moved to Yamaguchi, taught English for a while, resigned, job hunted in Tokyo for two months. This year, I’m visiting Tokyo for a week with Rainman. I’ll again act as a guide and interpreter. Rainman has never visited Japan before. We’ll meet up with many of my friends, go sightseeing, drinking, karaoke, etc. That’s one purpose of the trip. The other is to visit a Japanese language school I’m applying to. Located in Shibuya, the plan is to work this year, save money, then begin classes in October 2012. The purpose is as it sounds: to study the Japanese language in an immersive environment. Classes are taught in Japanese, I’d live in Japan, and it’s looking like I’d live with a Japanese family. My goal with the school is to improve my Japanese from the paltry JLPT N5 level to JLPT N2. A tough goal I feel, but something doable. Welcome to my guide to visiting Japan. This is based off my experience visiting and living in Japan. It’s not a completely travel book by any means. It doesn’t cover specific places to go, but general knowledge on getting around the country. I know there are things that are not on here that probably should be. In which case, leave a comment to let me know, and I’ll try to include information about it.